Sagittarius is naturally attracted towards wealth and hence they either create or attract it. Sagittarius possesses talent, energy and ideas to create their own heaven on earth. But Sagittarius does not get satisfaction just by possessing wealth. They need luxury in every walk of life. Sagittarius can attain their dream financial status only if they enhance their organizational and managerial capabilities. Sagittarius should learn to attain their goals by generating a series of objectives or sub-goals. They should realize that rarely a person can become rich overnight. Sagittarius shows utmost dedication to attain success and wealth in an impressive style. This over confidence in them may lead to disappointment and unrealistic financial status. 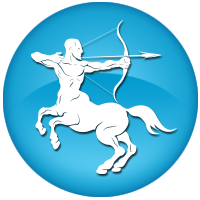 But Sagittarius possesses outstanding capability to bounce back to life swiftly. Financial status of Sagittarius attains decent status only if they stay on their vision and work hard effectively and patiently. Speculation is not for them therefore they should stay away from gambling and risky investments. This is one of the luckiest signs, as they love to spend and generally have plenty of money to do so. They like to plan things in advance. They have an inbuilt ability to handle money. A Sagittarius mind and efforts are always working towards new important deals. They like to be their own boss and manage things their own way.